An air raid conducted by foreign forces in Afghanistan has claimed the lives of at least 16 civilians in the eastern province of Nangarhar, which borders Pakistan. According to TOLO News, the air raid hit a civilian vehicle in Haska Mina district late on Thursday. Women and children were among the victims. 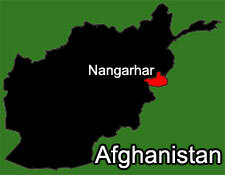 Nangarhar governor’s spokesman Attaullah Khogyani also confirmed the casualties. It was not immediately clear the aircraft that carried out the strike belonged to which country. The United States currently has about 8,400 soldiers in Afghanistan with another 5,000 troops from NATO allies. Every so often, US air raids kill both Afghan soldiers and civilians across the country. In June, at least three Afghan border police officers were killed in US airstrikes in Helmand province. Back in February, American airstrikes also killed 22 civilians in the same province. Last August, a US drone attack killed 22 Afghan soldiers in Helmand, and in September that year airstrikes conducted by American warplanes claimed the lives of at least eight Afghan troops in the central province of Uruzgan. Airstrikes by US warplanes have also significantly increased in recent months against the purported positions of the Taliban militant group and other terror outfits in the crisis-hit country. Despite the presence of thousands of foreign boots on the ground, Afghanistan has been rocked by an increase in terrorist attacks, some of them carried out by the Daesh Takfiri terrorist group mainly active in Nangarhar province.